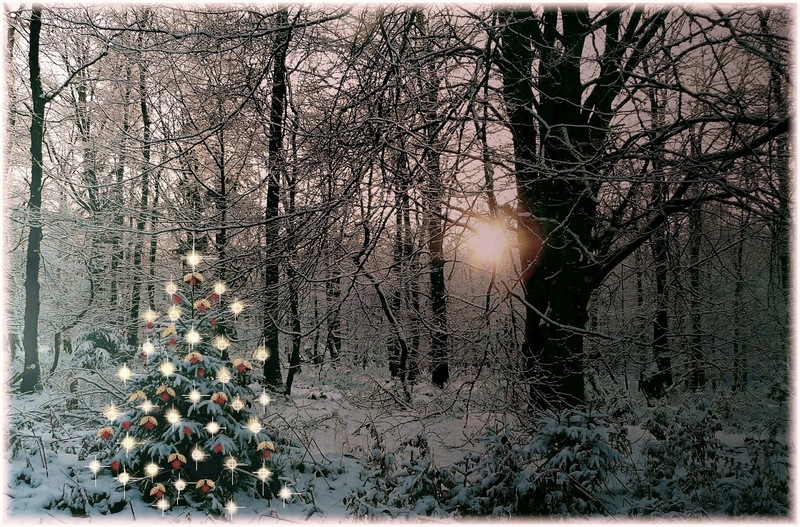 The Christmas Tree is perhaps the most iconic symbol of Christmas, and one of the loveliest. Why do we decorate a tree in honor of the birth of the Savior of the world? Christmas trees are typically Evergreen trees (Latin: sempervirens). Evergreens include pines, firs, cedars, and cypress. Evergreens get their name because they are always green, even through long cold winters. Evergreens have been a symbol in many cultures of the promise that winter will end and spring and sunshine will come again. The modern Christmas tree can trace its roots to the tradition of the “paradise tree” in the Middle Ages. These trees had fruit hung in them representing the lost Garden of Eden, paradise, which Christ came to restore. Over the centuries ornaments, candy, and candles slowly replaced the hanging fruit.1,2 Christmas trees have been topped with many things throughout history. The two most common tree toppers are the star and the angle. The star represents the Star of Bethlehem that appeared as a sign of the coming Messiah and led the wise men to Jesus (Matt. 2:2). The angle represents those angles in the story of Jesus that announced his birth to the shepherds (Luke 2:8-14). Christmas trees are often decorated with fabulous colors. These colors hold spiritual meaning: red represents the sacrifice of Jesus, green represents hope of coming spring and of Jesus’ soon return, gold symbolizes the majesty of Jesus, white represents the purity of Jesus, silver represents our redemption, blue symbolizes the royalty of Jesus as King. At the center of Christmas decorations is the tree itself. This is the most important piece. It is the pillar that never dies; it offers hope in the deepest, darkest winter. Long before the Christmas tree, God, speaking through Isaiah, pointed to the evergreen tree as a permanent symbol of his promise, and Jesus is that promise. What other parts of Christmas represent the story of redemption? How does gift giving symbolize Jesus? What can we do to keep Christ in Christmas? 1 Edwin and Jennifer Woodruff Tait. “Why Do We Have Christmas Trees?” (December 11, 2008). Christianity Today. 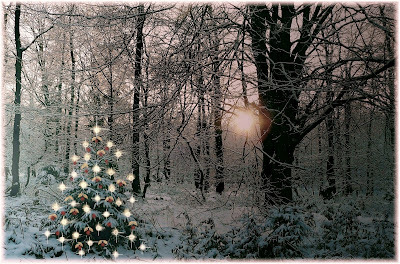 Accessed December 21, 2017 from http://www.christianitytoday.com/history/2008/december/why-do-we-have-christmas-trees.html. 2 Encyclopædia Britannica. “Christmas tree.” (October 10, 2017). Encyclopædia Britannica, inc. Accessed December 21, 2017 from https://www.britannica.com/plant/Christmas-tree.